The standard greeting is 'Congratulations [DISPLAYED TOP] You Did It! 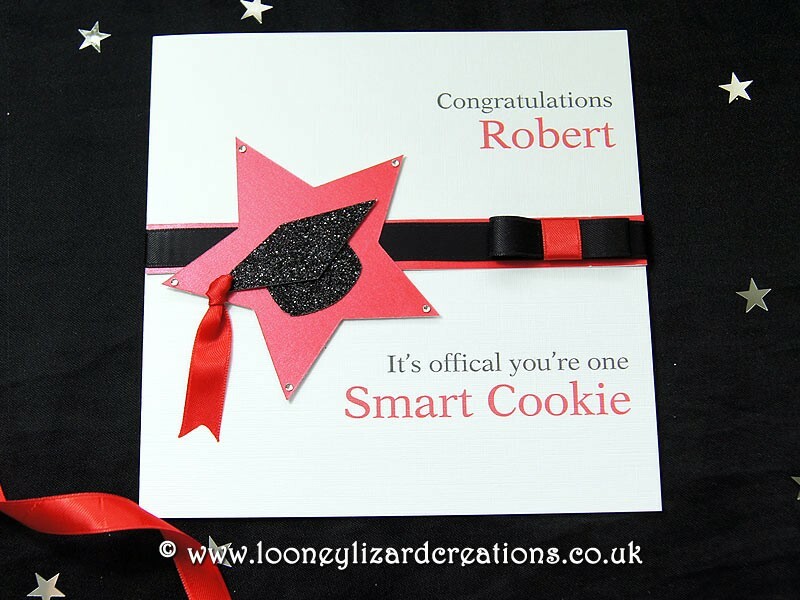 [DISPLAYED BOTTOM]’, however, you can fully personalise your card with your own message/wording if preferred. 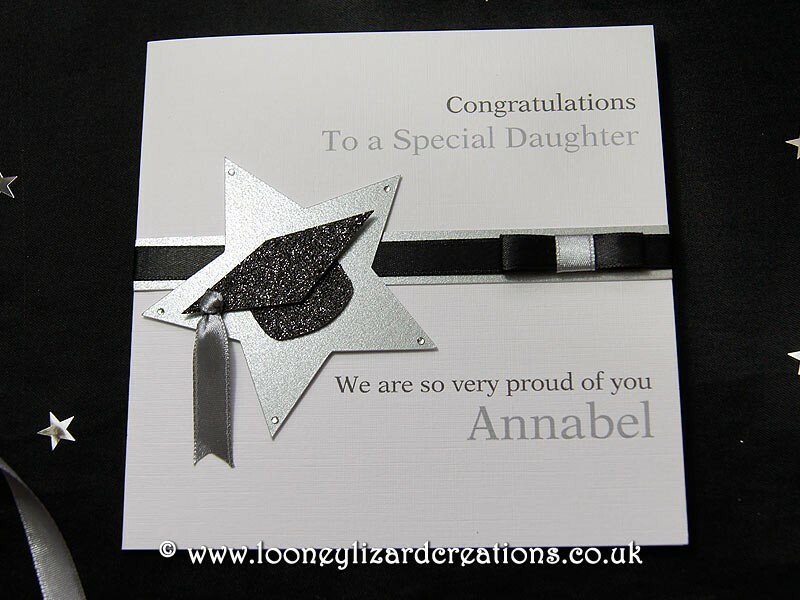 Please see the options above to select your card colour theme and personalise your card with your own greeting/message. 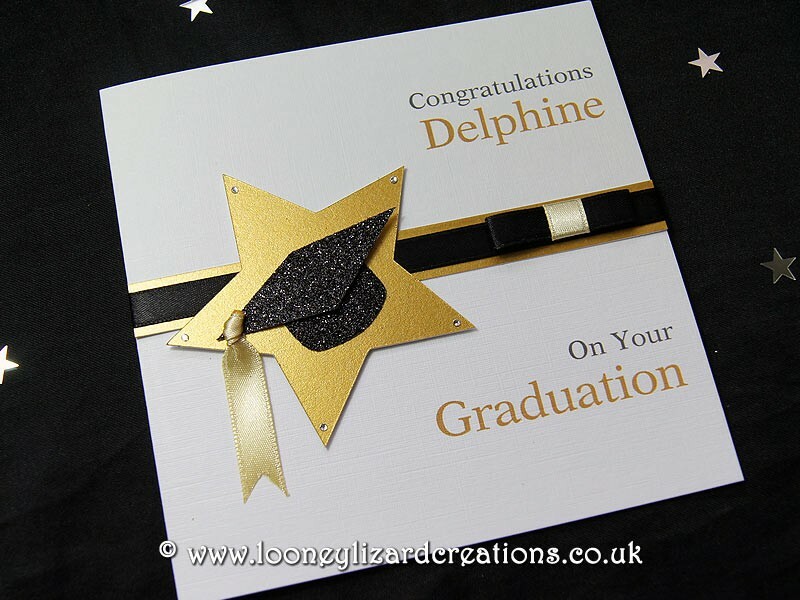 Each handmade graduation card comes as standard with a quality plain white envelope. However, optional decorated gift boxes are also available and will be decorated to match your card colour choice. This is my fourth purchase, and I am as delighted as I was with the previous three. Excellent cards. 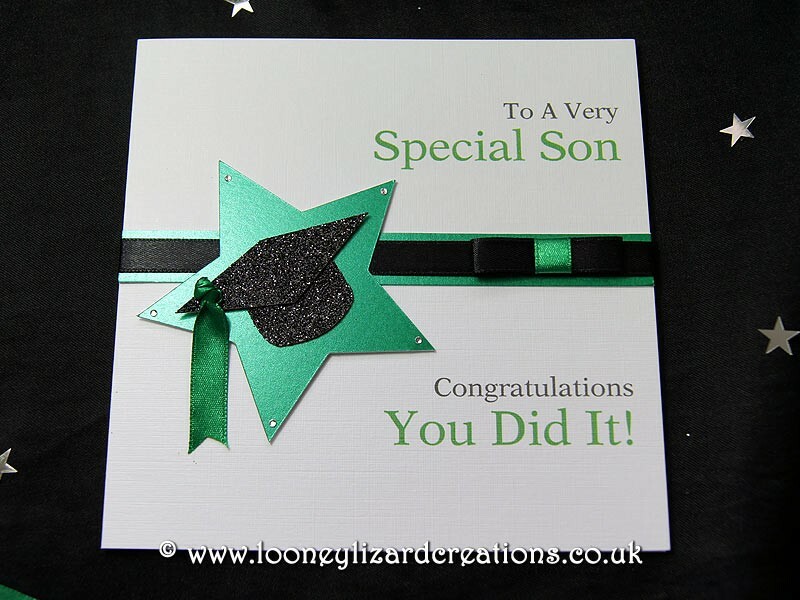 I ordered a personalised card on Friday for my Son’s forthcoming Graduation,it was dispatched yesterday and arrived today. 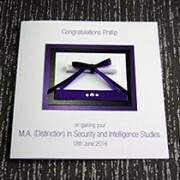 The green matches his faculty colour exactly and the card is stunning and beautifully wrapped I am so thrilled with it. Customer service, delivery and contact was brilliant even down to the personal note wishing us a wonderful time at our sons’graduation ceremony. I will definitely be ordering again in future. 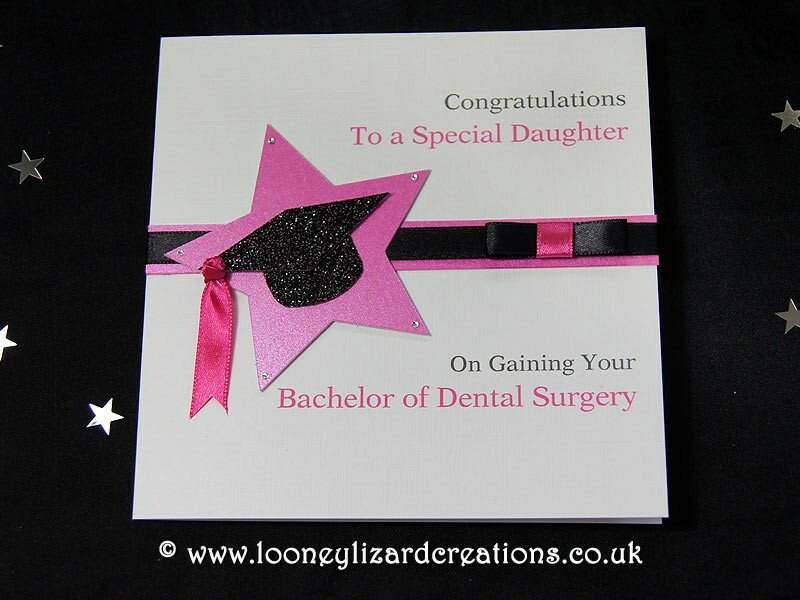 Searched the high street for this special card without success. 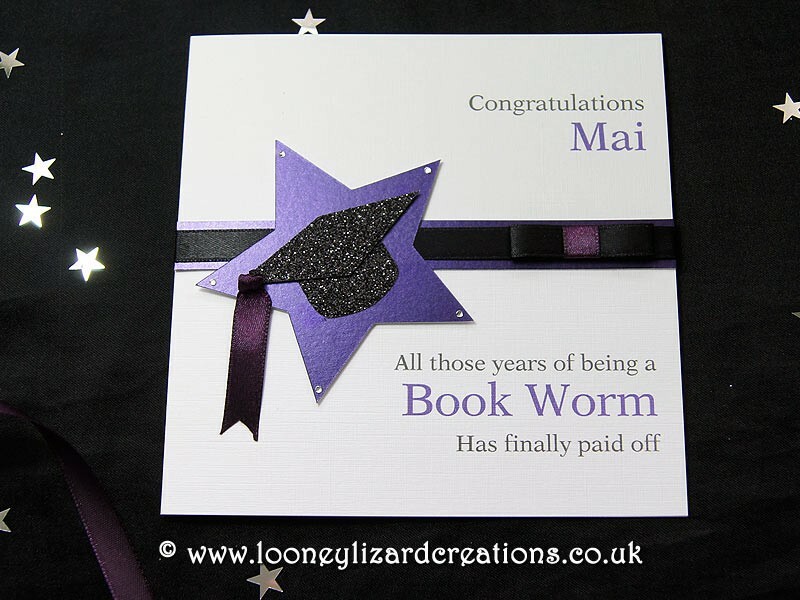 Found Looney Lizard online who supplied the card i had been looking for! A big thankyou.